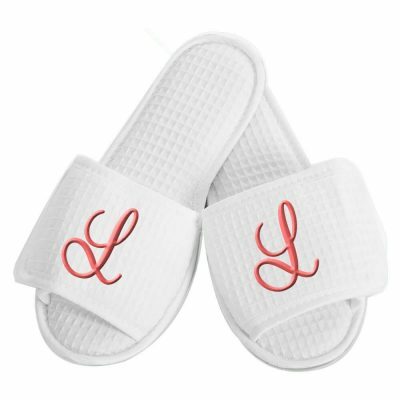 Custom embroidered slippers available in 7 colors & 4 sizes. 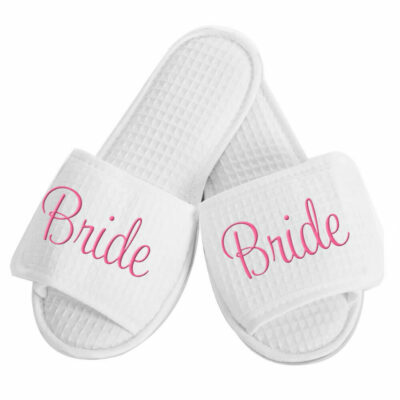 Choose from many different fonts & design colors to create the perfect slippers for the whole bridal party. 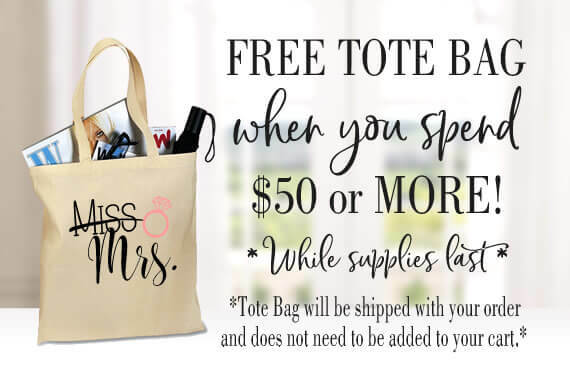 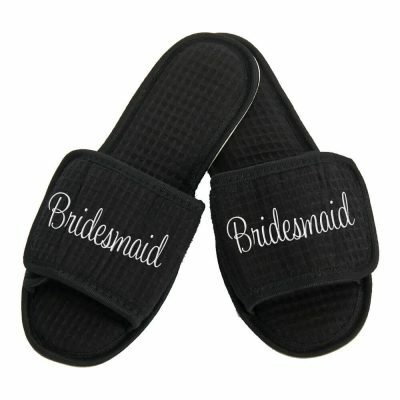 They are perfect for spa days or getting ready for your wedding! 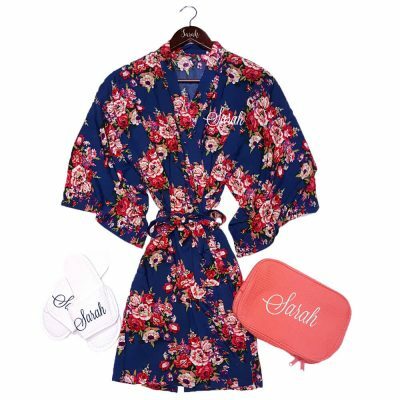 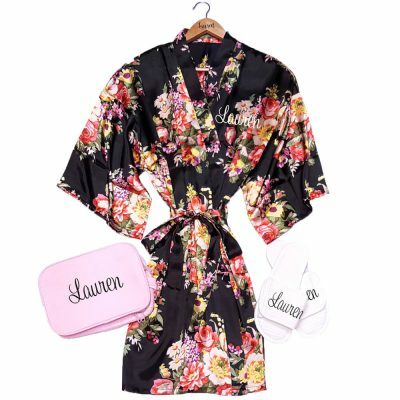 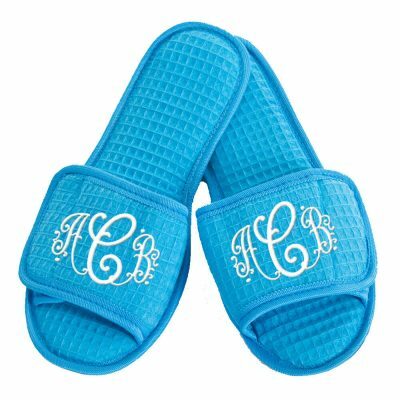 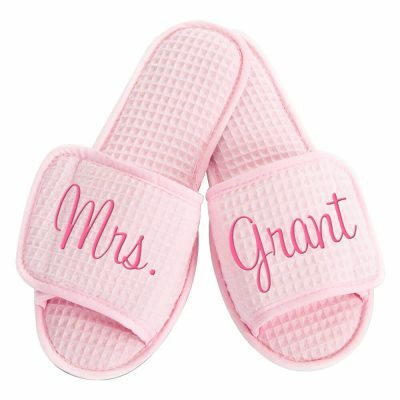 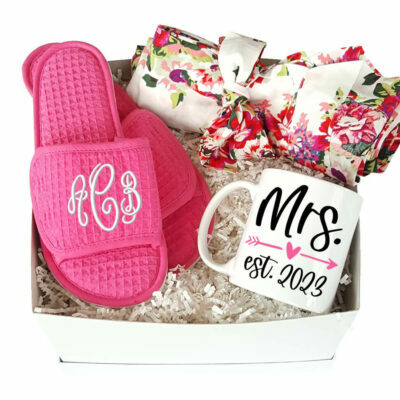 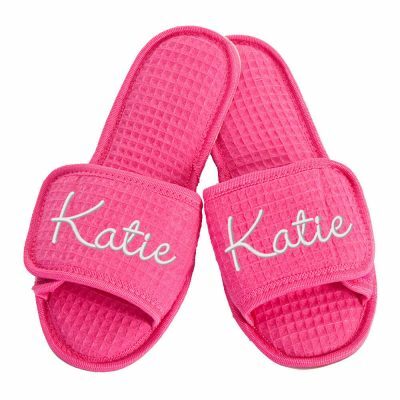 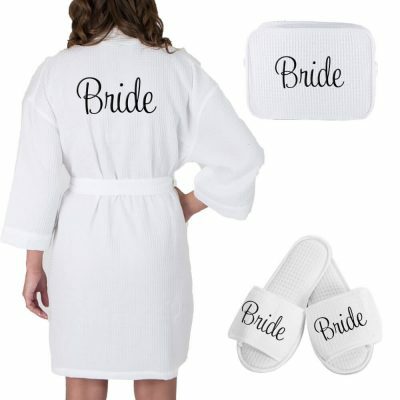 Pair these slippers with one of our personalized robes and you have the perfect gift for the bride and the bridal party!